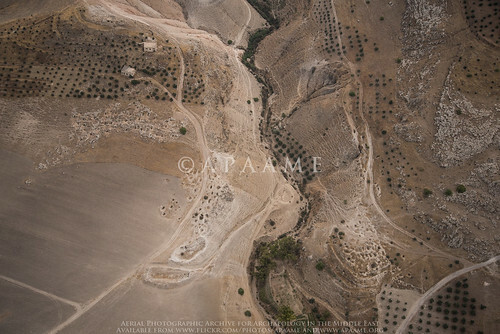 The Aerial Archaeology in Jordan project has just begun its 20th season (after David’s flight in 1997) and it coincides with ICHAJ13- a conference to celebrate and be informed of recent archaeological work in Jordan. Balancing the commitments of the conference with trying to fly was always going to be tricky but the opportunity to undertake aerial surveys should never be missed, especially in this region. Jordan Valley near Pella. Low cloud made visibility and photography not ideal. Photographer: Robert Bewley. APAAME_20160523_RHB-0219. Jordan never ceases to surprise, and this year has seen the demise of the Air Force’s Huey helicopters, which we had come to love – despite their the noise, and discomfort too, but also great space and views with the door open, and relatively slow speed. So, this first fight (Andrea Zerbini and I) was also experimental in learning the art of aerial photography in a new machine – the Eurocopter (or EC 635). With 3 of its seats taken out the two of us were able to sit side-by-side at the open door, with similar panoramas as the Huey, but a quieter, smoother ride. Sadly the weather was not great; cloudy and cold and we were heading north, so less likely for a clearance in the weather. However we photographed most of the targets, only missing the last sector because of the cloud. We were with a new squadron, so the pilots were also new to our work, but they (as ever) provided us with top-notch flying. The internal communication system also is an improvement on the intermittent service we used to get; this makes the “strike rate” of targets photographed per hour much better as we can communicate the move to every new location clearly (and the EC is also faster, having two engines – so safer too). The flight started in the region of Jarash photographing structures identified by PhD candidate Don Boyer for the Jarash Water Project, and also to catch a glimpse of the East Baths that are currently being excavated by a French-German Mission with the Department of Antiquities and recently yielded this magnificent statue. 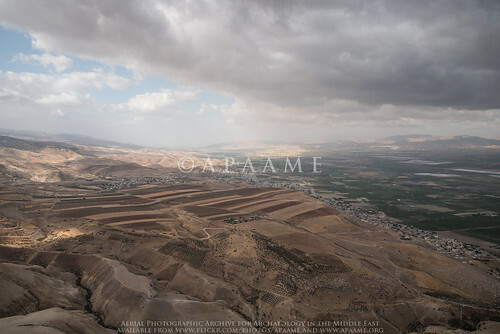 The flight then progressed over the Ajlun highlands to focus on wadi systems that empty west into the Jordan Valley. This fertile region saw settlement over millennia and the concentration of sites, such as tells and low level ruins, was vast. 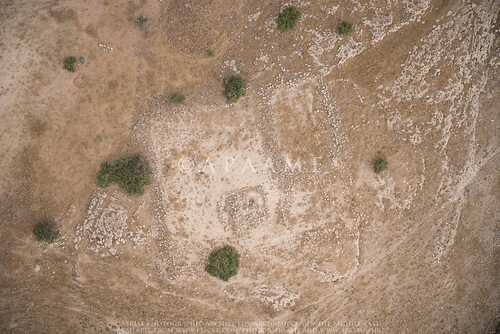 Many sites were previously unphotographed, while others we monitored to assess change over time, such as at Pella/Tabaqat Fahl. Unfortunately, a few sites showed evidence of looting. The looted cemetery at Hammeh. Photographer: Robert Bewley. APAAME_20160523_RHB-0216. The discovery of sites which have not been previously recorded also gives us the desire to carry on; we spotted a site in passing and photographed it. Becc tells us it is not in MEGA-J, and a reasonably substantial site, rectilinear stone structures, in a prominent location. One for further investigation and adding to the EAMENA and MEGA-J databases. Unidentified site near Pella. Photographer: Andrea Zerbini. APAAME_20160523_AZ-0170. We were in time to return to the conference, where the (royal) opening ceremony had just taken place and everyone was milling about having coffee. 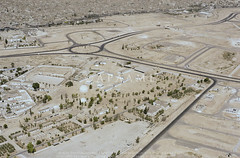 This gave the opportunity for many of the participants to thank us for the use of the aerial images from the APAAME website, and responding to their specific request for new imagery. 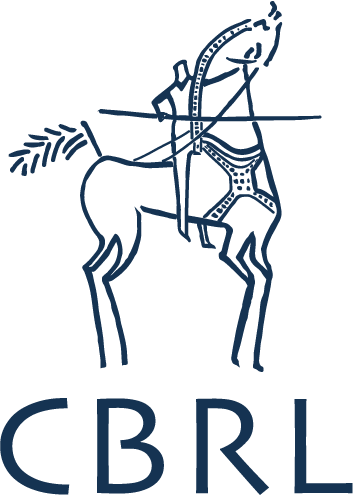 Knowing the material is being used and is making a contribution to archaeological research gives us the stimulus and motivation to continue. One colleague said our images were able to “stop traffic”, a reference to people seeing an aerial photo on his screen as they were passing by his office, and would stop to ask what they were looking at.